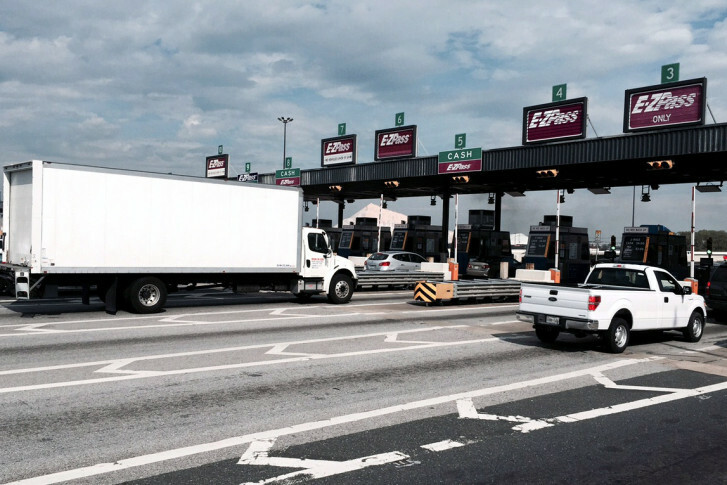 BALTIMORE — Maryland drivers who skip out on paying to use toll roads and bridges will have one last opportunity to settle their bills before the state freezes their vehicle registrations. On Oct. 16, the Maryland Transportation Authority will begin a one-month amnesty program during which anyone with unpaid tolls can settle up their bills or establish a payment plan with all penalties and fees waived. Under Maryland law, drivers typically receive a $50 civil penalty if they do not settle an unpaid toll within 30 days of the trip. “You need to take advantage of this unique opportunity because it won’t happen again,” says Milt Chaffee, executive director of the Maryland Transportation Authority. Approximately 164,500 Marylanders owe the MDTA for unpaid tolls. Each will receive a letter in the mail next week, sent to the address on file with the Motor Vehicle Administration, to pay up or face further action. “For all of us who do pay our tolls, we probably don’t have too much sympathy for these individuals,” says Chaffee. Drivers who do not settle their bills by Nov. 16 — the deadline to take part in the amnesty program — could have their registrations frozen in December. MDTA officials plan to contact the MVA to flag vehicle registrations for nonrenewal, which means the owner would be unable to renew the registration on the vehicle or receive stickers for their license plate until he or she paid the debt. But Marylanders with more than $1,000 in unpaid tolls and penalties would see their vehicle registration suspended altogether. Chaffee says about 12,000 people fall into this category, including one unnamed driver who owes $70,000 in tolls alone. MDTA hopes this stick-and-carrot approach will persuade as many people as possible to settle up now. But there are two notable shortcomings to what actions the MDTA can and cannot take against scofflaws. First, the MDTA can only flag or suspend the registration of Marylanders who don’t pay their tolls. The MDTA does not have legal authority to flag or suspend registrations for vehicle owners from D.C., Virginia or any other state, regardless of how much money that person might owe. These individuals could be sent to central collections and it’s possible that their credit score would be hurt by the unpaid tolls. Those rules also apply in the opposite direction. Virginia could flag or suspend the registration of a Virginian with unpaid tolls in Virginia, but it cannot do the same to vehicles from Maryland or D.C.
Second, the MDTA can only take action against the license plate associated with the unpaid debt. It cannot take action against the individual because the agency cannot prove who drove the vehicle with the unpaid tolls. The result is that a person could, in theory, purchase a new vehicle, get new license plates and register the car in Maryland without having to settle the unpaid tolls.